Introverts and extroverts both love to travel and walk the world. The only difference is the destination they choose to go to. Extroverts ‘go-to places for traveling are the likes of Tokyo, London or Paris. 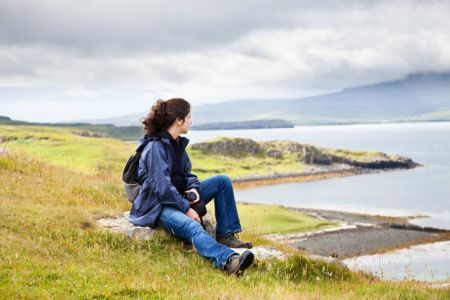 On the other hand, introverts may still prefer these big cities to travel, but they are inclined to take part in activities that satisfy their introversion. For interest introverts out there, we give you some great places to delve into and enjoy your solitude. New Orleans is a bright and loud place, perfect for avid partygoers and night owls. However, introverts can also enjoy the peace and quiet that the local ambience of New Orleans provide by sitting in a small café and simply observing people passing by. The fast-paced life of the big city can eventually tire an introvert out. Step away from it all and recharge in the rocky Canadian wilderness. A quiet sanctuary is waiting for you in the Canadian Rocky Mountains. Malta’s twin islands, Gozo and Comino are still not common travel destinations among tourists, meaning not too many people are staying there- perfect for introverts who want to blend in with the locals and enjoy a short trip. Tokyo is perfect for introverts because the Japanese people go about their own lives and do not like to meddle in other people’s business. You can walk the streets of Tokyo and enjoy not attracting too much attention. Cuba, with its tropical climate, is a home to several lovely beaches that can attract a lot of travelers. Introverts, who are not too fond of talking, can connect and have a great time with other people through dancing. One of Chile’s most popular national parks, Torres Del Paine is an ideal place for introverts to hike alone and enjoy the privacy the wide area has to offer. Bike tours are common in France, most specifically in the Bordeaux region. BY joining bike tours, you can take in the beautiful French scenery and at the same time, take part in an activity that promotes a healthy lifestyle. France is well-known for its amazing display of art. Walking around the streets of Montmartre is Paris helps you get in touch and be inspired by the different artistic styles of the past and modern era. Living in a place with such a small population is a big dream for introverts. Living in quiet Antarctica gives a person the opportunity to reflect and discover a lot of things about one’s self. Italian cuisine has been in the forefront of global food culture for centuries now. 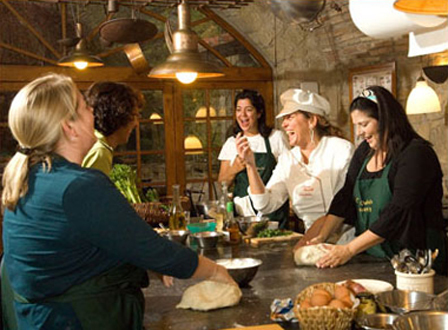 When visiting Tuscany, sign up for an authentic Italian cooking class where you can learn a new skill and socialize with a handful of people.